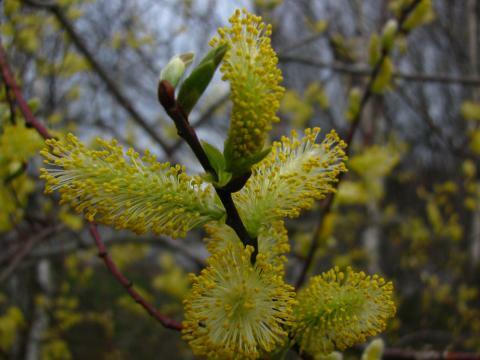 April 2010 couldn’t really be described as warm in Greater Moncton but it was definitely milder than normal – a trend that began over the winter. Early in the month, temperatures soared into the 20’s C but that quickly gave way to a cold snap in mid-month where the thermometer couldn’t reach 10 C which later led to relatively normal weather by month’s end. Overall, the average temperature was 3.2 C above normal with below normal amounts of rain and snow and a lot of cloudy skies throughout the month. 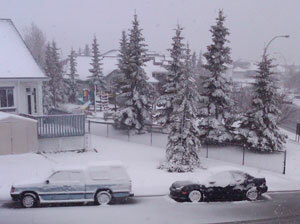 Calgary may have escaped a snowstorm in Southern Alberta earlier this month but this time it was not so lucky. 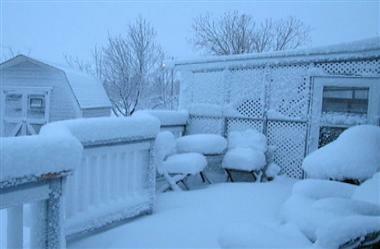 About 12 cm of snow fell on Calgary yesterday causing problems on major roadways and schools were closed in rural areas. Thousands lost power for several hours and more than 24 flights at Calgary Airport were either delayed or cancelled. At least 10 people were killed in Mississippi yesterday when tornadoes ripped across the west central part of the state. At least 15 counties were affected by the twisters with Yazoo City in Yazoo County being the hardest hit. Tornadoes were also reported in Louisiana, Arkansas, Alabama and Georgia. 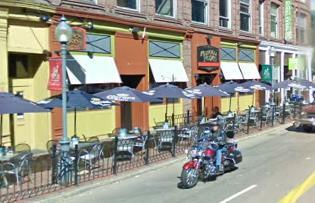 The grass may be green, the tulips and daffodils are up and the trees are budding but the surest sign of spring is the return of sidewalk patios in Downtown Moncton. Every year around this time (although it seems a bit earlier this year), the patios sprout up at watering holes and eating establishments along Main Street and other parts of the city. These seasonal outdoor cafes are a welcome sign of spring and the upcoming summer after a long and cold winter (although this winter was not very long or cold). 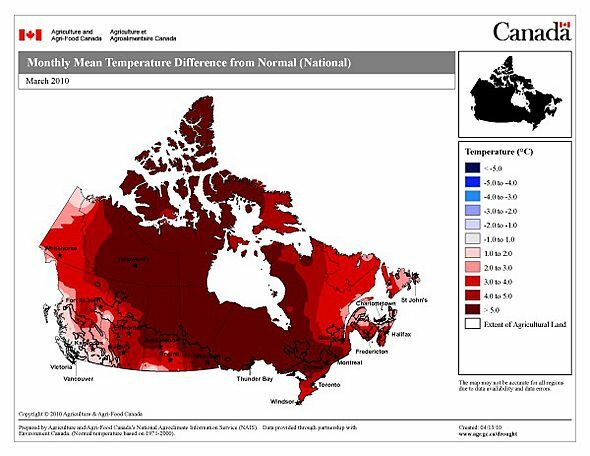 This map from Environment Canada shows just how warm much of the country was in March. Much of the Arctic, northern and eastern prairies and Ontario were 5 or more degrees Celsius above normal. Moncton and much of New Brunswick was at least 3 or more degrees above normal during the month. 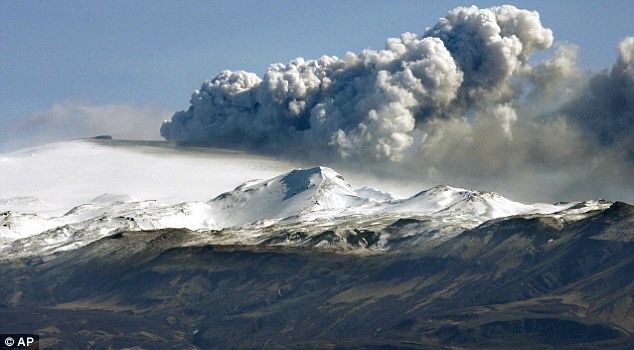 Scientists say the erupting Eyjafjallokull volcano in Iceland is not expected to significantly impact the global climate similar to that of Mount Pinatubo in the Phillipines in 1991. Pinatubo lowered world temperatures by 0.5 C and dropped sea levels for several years. But the clouds of volcanic ash drifting toward Europe have been wreaking havoc on air travel – disrupting flights, shutting down airports and costing airlines millions of dollars a day. Although there were signs the ash would impact Newfoundland and numerous flights in St. John’s were cancelled, it appears that threat is over for now with only heavy fog to blame for travel delays. 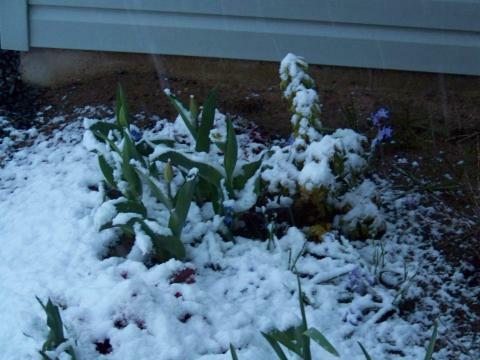 It wouldn’t be spring in the Maritimes without at least one snowfall and 4.8 cm was recorded overnight in Greater Moncton although much of it melted as it fell with only some sticking to grassy areas and vehicles. In Nova Scotia, the Halifax Airport recorded 6.6 cm of snow which is being attributed to a fatal car crash yesterday on Highway 102. The current cold, wintry weather is thanks to a low pressure system drawing down cold air from the north along with raw northerly winds from the Gulf of St. Lawrence. A return to more seasonal weather is expected by mid-week. Winter returned to Southern Alberta with a vengeance yesterday bringing more than 20 cm of snow to communities like Lethbridge, Medicine Hat and Strathmore. Schools were shut down and power was knocked out to thousands as the heavy, wet snow and high winds brought down trees and power lines. Calgary escaped the snow but was buffeted with powerful winds gusting to 90 km/h that whipped debris throughout the downtown core closing at least one transit platform. The death toll from landslides and floods in and around Rio de Janeiro this week has exceeded 200 as crews continued searching through the debris. 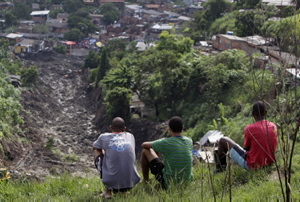 Most of the victims were swept away in landslides that roared through slums built on steep, unstable hillsides. The hardest hit area was a slum in Niteroi, next to Rio. Although the rains have eased (more than 300 mm of rain fell), the water-soaked terrain threatens further slides. A winter storm swept across Northeastern Ontario yesterday, bringing everything from heavy snow and ice pellets to freezing rain and gusty winds. If there’s a positive associated with this latest blast of winter, it’s that fire bans have now been lifted in several cities. Conditions had been extremely dry in recent weeks, partly thanks to a lack of snow this winter.